Mileslife is offering 4X more miles for dining transactions made at participating Crystal Jade restaurants across Singapore from 01 July 2018 to 31 July 2018 - this means that you will be able to earn up to 8 miles per dollar at participating restaurants. 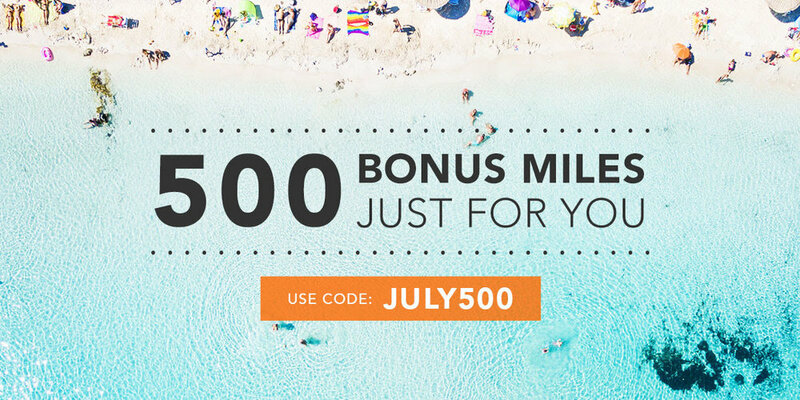 Additionally, you may also be targeted with an additional 500 bonus miles (promo code below!) for a transaction made this month that is above the value of SGD 49. Click HERE to sign-up for Mileslife and get 1,000 bonus miles! Even though the best credit card to use on Mileslife used to be the OCBC Titanium Rewards Card (since it gave 6 miles per dollar with no cap), that promotion has now ended so you are better off using the UOB Preferred Platinum Visa Card or the Citi Rewards Card (which also gives 8 miles per dollar on Apple Pay transactions!) for now - these cards will give you 4 miles per dollar for eligible transactions made on Mileslife. If you are targeted for this promotion, you will have to enter 'JULY500' as a promo code and this will automatically be activated once your transaction hits SGD 49 or more (this is a targeted offer) - promo code expires on 15 July. If you do not have a Mileslife account, consider using my referral link for 1,000 bonus miles after your first eligible transaction.